Company: Ecsenius midas (Persian blenny) should not be kept in the same aquarium as invertebrates or larger fishes. 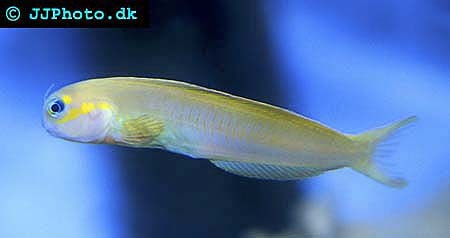 Aquarium Setup: Ecsenius midas (Persian blenny) will not sustain a rapid movement to a tropical aquarium, since it is actually a temperate species. It produces a slime to protect itself and will die if the slime is hurt by poor water quality. Persian blenny is found of digging and will like a bottom with mixed size rubble and gravel. It is a strong jumper so the aquarium should be well covered. Food: Ecsenius midas (Persian blenny) eats algae, zooplankton, invertebrates and plants. You can feed your fish a variety of fresh and frozen vegetable and meaty foods. 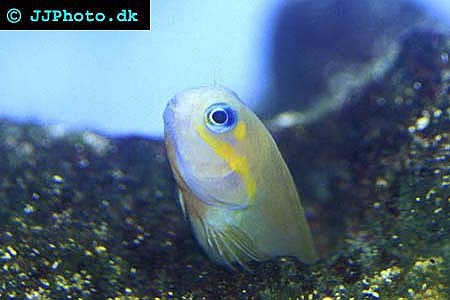 Breeding: We have no information about the breeding of Ecsenius midas (Persian blenny) in aquariums.